Complete working farm in rural location with local organic milk contract and profitable onsite self-service retail shop. Healthy soils and cows; buildings and equipment in excellent condition. 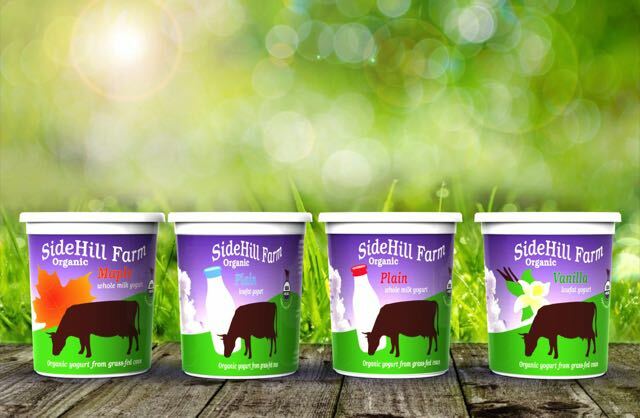 Sidehill Farm is a certified organic dairy, currently milking 30 Jersey, Normandy and cross cows, with a capacity to milk up to 60 cows. The bulk of the milk goes to the Sidehill Farm brand of yogurt and sour cream that is produced on-farm, with a stable $48/cwt pay price under a long-term contract. The remaining 10% of the milk is bottled raw and sold in the self-service farm shop, along with an increasing quantity of meat (6,000# beef and 2,500 # pork in 2017) and other resale products from local farms. Since 2007, milk produced at the farm has gone to our Sidehill Farm brand of yogurt and sour cream, produced on-farm in the creamery, and shipped to stores throughout the state. We currently operate both the yogurt business and farm. The business has grown to the point where balancing the needs of the two halves of the operation (farm and creamery) is no longer practical. We have decided to separate the two, selling the dairy operation to a farmer interested in producing high component, high quality milk for use in the yogurt, and in continuing the farm shop, which both serves our rural neighborhood and provides significant income to the farm. Our intention is to provide a third revenue stream by leasing back the creamery space, contributing to the farm’s budget and maintaining the farm as the location of the yogurt brand, to the benefit of both the farm and the yogurt company. Going forward we will focus on producing and marketing the yogurt, providing a viable local milk market for this farm and the two other local farms we buy from. We view the sale as an opportunity to partner to produce high component, high quality milk at a liveable scale and see it sold to regional customers. We have budgeted realistically for this transition and priced the milk contract and creamery lease such that a buyer can operate a viable dairy. The farm buyer will be a contract partner to the yogurt business, and should have a proven record of managing for top quality organic milk and forages, in a low-grain, 60+% DMI from pasture feed model. Focus must be on high component, A2A2 breeds with protein at 3.55% and higher. (Holsteins would not be appropriate.) Ideally, the buyer would also have prior direct-marketing or retail experience, in order to to be comfortable managing farm shop customers and inventory. The farm shop sales are sustained by the quality of the products, the views from the hilltop, and the well-kept farmstead. The right farmer or farm couple has interest and experience in managing both for dairy quality and for direct-market customer satisfaction. 225 acres total. 125 acres are open, tillable and gently sloping, certified organic. Currently all 125 acres are in grass and producing high quality forages (forage and soil tests available). Soils are mainly well-drained Class II Sandy Loam with 1-8% slopes. Of the 125 currently open, 103 acres are Prime and 11 are Statewide Important. Pasture fencing, laneways, water lines, and K-line irrigation all in good condition. Clean spring for pasture water and farm pond for irrigation. Managed for soil fertility for decades, first as Donovan’s Organic Potatoes and then as Sidehill Farm Dairy. Well suited for adaptation to a changing climate. The remaining 100 acres are currently managed for medium-long term timber value and wildlife habitat, with an ongoing yield of firewood from thinning. 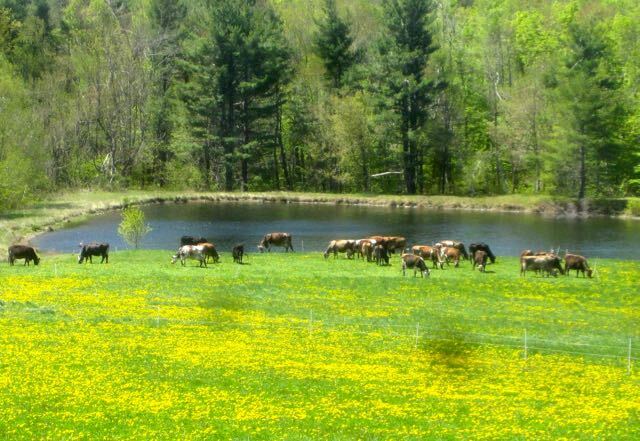 The farm is sold subject to an existing Conservation Easement held by the state of Massachusetts Agricultural Preservation Restriction program. The farm currently leases an additional 28 acres of land for hay and bedding, ½ mile down the road. 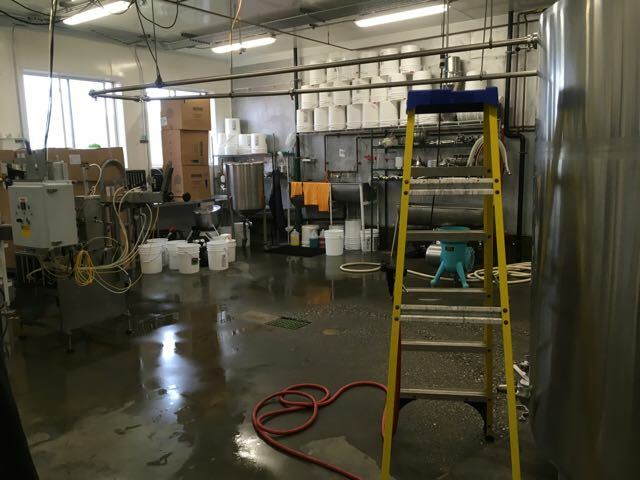 · 40x60 super-insulated creamery/milkroom constructed with 10” walls, 24” cellulose attic insulation, Marvin fiberglass windows, insulated slab, and zoned radiant heat. 9.75 kw PV array on roof. Built 2013. · 3-bedroom house with 2-car garage, built 1978, excellent condition. recently updated with 24” of attic insulation, Marvin fiberglass windows, basement wall insulation, and a new solar hot water system. Full line of farm machinery for managing the forages and bedded pack, appraised at $199,281, including John Deere tractors, Bobcat skid steer, Kuhn and New Holland hay equipment, and assorted implements and equipment. Some new or nearly new, all maintained and in good to excellent condition (equipment list available). Currently ~30 Jersey, Normandy, or cross cows, plus ~24 assorted heifers, steers, calves, and replacements. Currently averaging 40#/ cow at 3.6 protein, 4.6 fat, on a 70% pasture DMI diet, with concentrates of 6# of 12% grain and 1# molasses (additional details available). Self-service farm shop with committed regional customer base; currently grossing 160k/ year, with low overhead and strong profit margins. Rural location on a ridgetop with great views in a town of 330 people, but close to restaurants and cultural amenities, and with good public schools. Minimal need for cow shade due to breeze and cooler temperatures at 1800’. Established block of approximately 100 highbush blueberries. Two small orchards of 12 apple trees. Flower gardens and large vegetable garden with greenhouse. The farm’s current lending partners are supportive of, and interested in offering financing for the transition - more financing packaging information can be available by contacting benneth@dirtpartners.com or filling out the Dirt Capital Partners inquiry form. For additional information, please click on the following links.